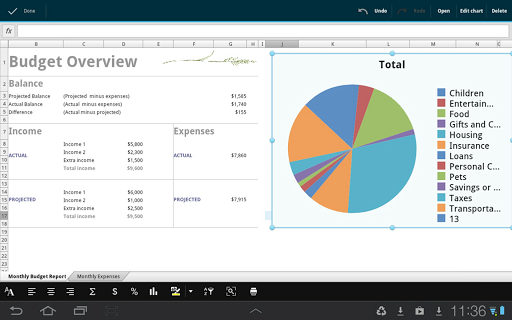 OfficeSuite Pro 7 (PDF& Fonts) version 7.4.1610 apk features many additions and improvements (please read what's new below). - Free Font Pack for OfficeSuite Pro included. 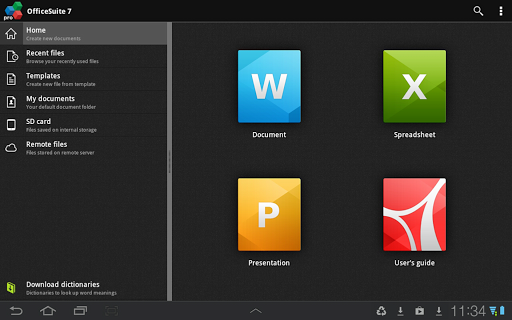 - Integration with ebook reader (UB Reader) and photo editor (PhotoSuite) apps. - Ability to add custom fonts via dedicated folder /fonts on memory cards. - Open office format support - ODT, ODS and ODP file extensions. - Tight integration with Box app. - Security improvements for cloud accounts. - Support of named ranges. - Ability to move cell selection. - Fixed bugs in Count formulas.